Dec 13, 2016: Dell Vostro 200 + GTX 1050 ti... Will it work? Dec 24, 2016: Would a 1050ti run on this pc? Jan 01, 2017: A good Graphics card for 300w psu? Apr 18, 2017: Will my current case fit this card? Jun 25, 2017: Is This A Good Build? Jun 28, 2017: What is the best likely graphics card I can hope to find now for $100-$150? Jul 21, 2017: Would a gtx 1050 or a 1050 ti fit in a Dell XPS 8300? 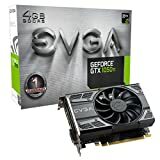 Apr 03, 2018: Bought a pre-built pc but need a new graphics card. Nov 10, 2018: Advice on eGPU config - HP dv6t / mPCIe connection / GTX1060??? Nov 29, 2018: Looking to buy a 1050TI Video Card? Feb 12, 2019: What do you all think of my PC Build? What things would you change from it?